of experienced and reliable roofers in NJ can help! 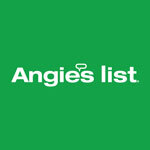 experts today for a free estimate! EXPERT ROOFERS PROVIDING ROOF REPAIRS IN NJ SINCE 1999! Our professional crews can help you with all your roofing, siding and gutter needs, including gutter cleaning and repairs. Your roof, siding, and gutters protect your home from the unpredictable weather in New Jersey. If you need to repair your roof or replace any part of your home’s exterior, we can help with quick and reliable work. Whether your roof is leaking or discolored, our local roofers in NJ can help! 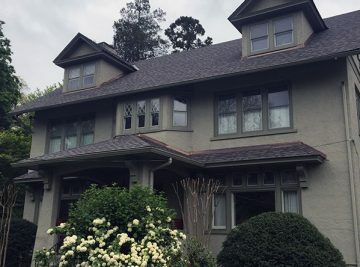 We are familiar with all types of roof repairs in the Westfield, NJ area, including asphalt, standing seam metal, cedar shake, and slate roofing. So trust our professional roofing contractors in Westfield with all your roof repair & replacements. If you contact us today, we can provide you with a free estimate on your roof repair. Warping, buckling or fading siding? 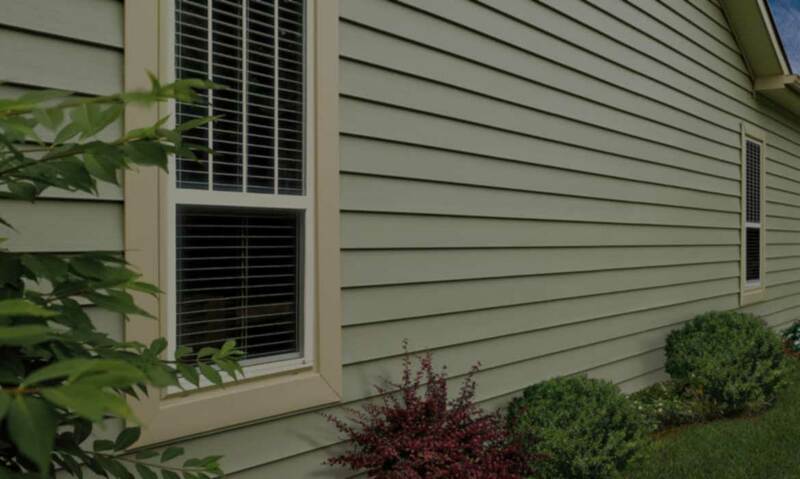 Our siding contractors in NJ can repair and install all types of siding, including vinyl siding, cedar shake wood siding, and fiber cement siding. And if your siding just needs a refresh, we offer house power washing services in NJ as well. Clogged, sagging or leaky gutters can leave your home vulnerable to water damage. 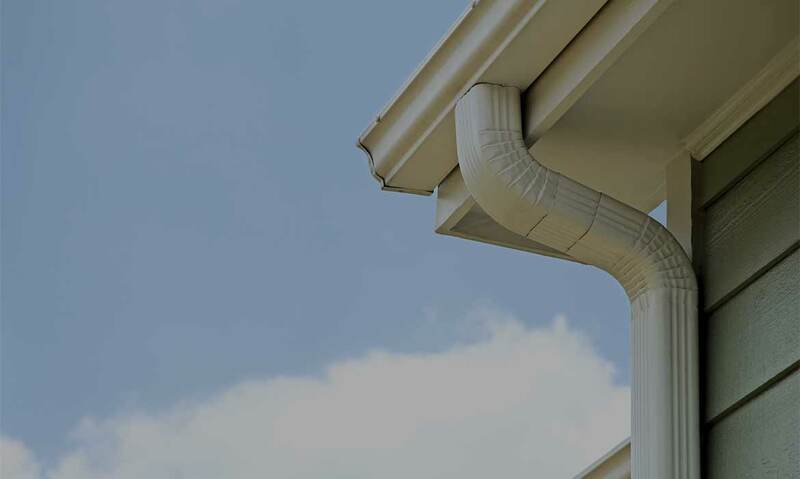 Our gutter pros can help you with affordable, reliable gutter repair, gutter installation and gutter cleaning services that you might need. Our gutter professionals can also discuss the benefits of installing gutter guards for your NJ home. 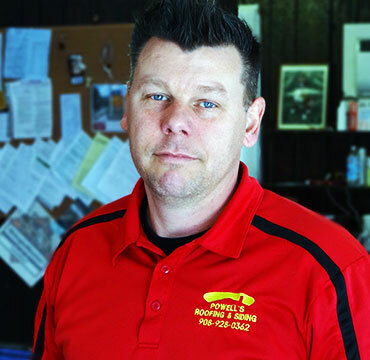 At Powell’s Roofing and Siding, we take pride in every single job that we do—no matter how small or how challenging. 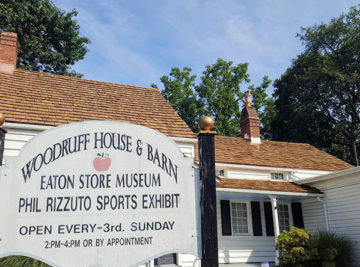 Here are some of our most recent projects. We have worker’s compensation and liability insurance, so you can rest assured that you are protected when choosing our services. 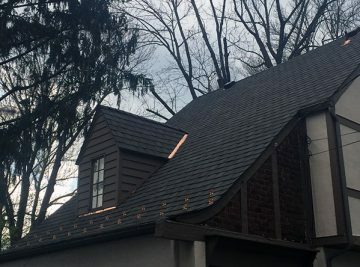 We are licensed for roofing and siding work in New Jersey, so you know we have the knowledge and experience to do the job right the first time. 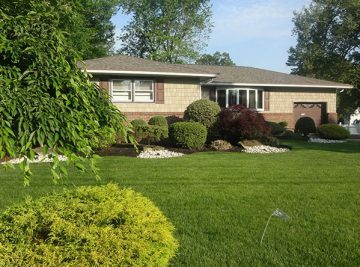 We have been providing quality work at affordable rates for NJ homeowners for over 15 years and are proud of our reputation. We have an A+ rating with the BBB, received Angie’s List Super Service Award (2011-2015), and have many testimonials from our NJ customers. We treat our customers like we want to be treated. We provide the job details in writing, return phone calls and follow through with everything we communicate. You want to make sure you have a clear understanding of the job details, how long it will take to complete any roof repair and who will be coming out to do the job. 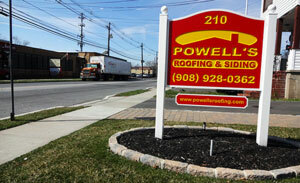 Powell’s Roofing & Siding traces its roots back to 1999 in New Jersey, and since then have never looked back. 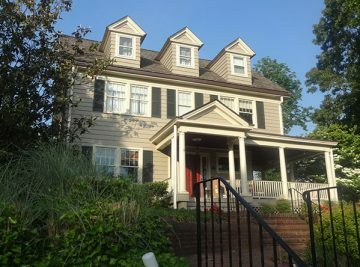 With thousands of successful projects under our belt, we can proudly say that we are a team consisting of the most trusted and most experienced roofing and siding contractors in NJ, performing both residential and commercial roof repairs and siding work. 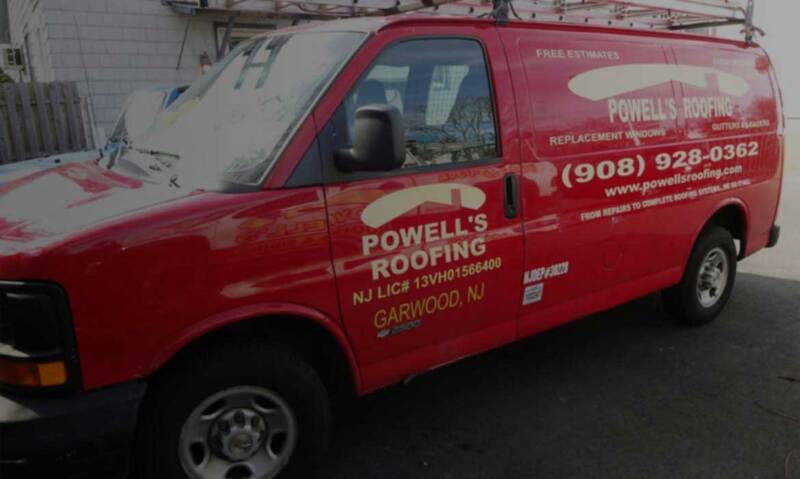 For more than 15 years, Powell’s Roofing & Siding has offered a wide range of roofing and siding services in the Union County area and beyond. Here are some reviews from our customers, and we’d be happy to connect you with customers that we have worked with in the past upon request. He was very professional, great communication, kept appointments, on-time, cleaned up nicely, and he did a very good job and it looks nice. I was satisfied with their work. They were on time. They finished the job in a timely manner. If there is a need, I would use them again in the future too. 17 Years of Roofing Experience. Select Shingle Master installer, Quality Specialist , Ventilation Specialist. Continuous training and education allow us to provide the most professional services to our customers. Here are some of our recent certifications and awards. POWELL’S ROOFING & SIDING NOW ACCEPTS PAYMENT THROUGH PAYPAL, A WELL-KNOWN, TRUSTED, AND SECURE WAY TO MAKE PAYMENTS ONLINE. 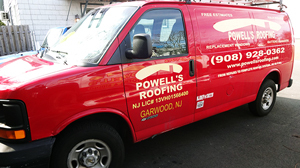 Powell’s Roofing & Siding has been proudly serving Northern and Central New Jersey homeowners since 1999. Here are a few of the communities that we service.